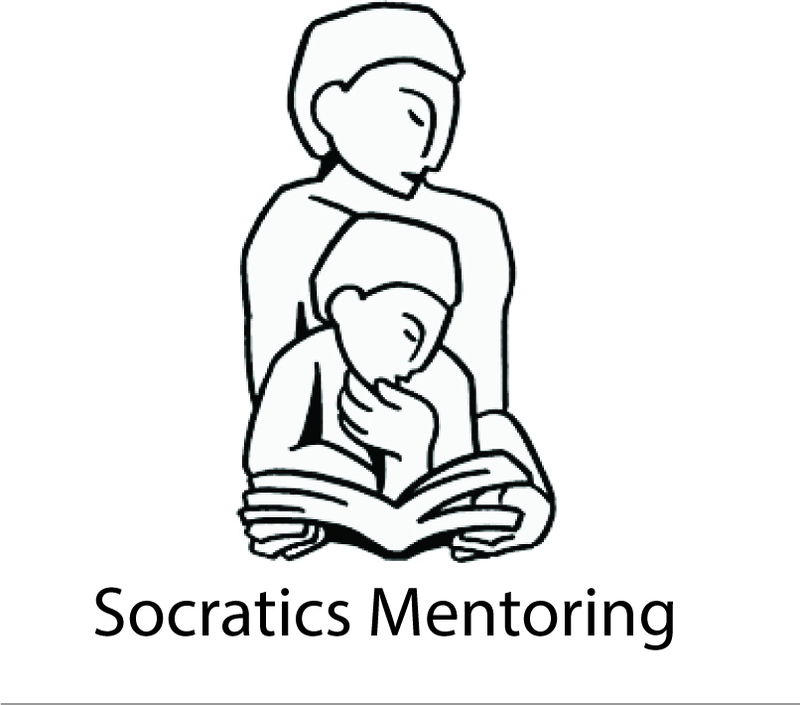 Socratics \so-‘krat-iks\ n A guided teaching method using questioning to allow self-recognition of key truths. Back when I was teaching in a public high school, one year a sophomore girl used to get into my classroom every lunch and on the board write “I love you Mr. Gleibermann.” The word love was written as a heart symbol. Other students would put up their own friendly notes. “What’s up Mr. G?” (or the street version, “What up G?”). “Catch you 6th period.” The notes so covered the board at times that I had to designate a special section just for messages. Others students acknowledged me between periods, sticking their head inside the classroom door and giving a shout. “Yo, Glei-dog!” Girls would stop by after school and report on the trifles of their day. Then they asked me how I was doing. They really wanted to know. I have to admit I got a little high off that attention. Never have I felt so saturated with affection as when teaching in an urban public school. I mattered in these kids’ lives. And it was beautiful to see the shine in their eyes. In the years since I left public schools, and moved over to working with predominantly private school students, I’ve had to come down from the high. While today I still love working with high school kids, the tenor of my relationships is markedly less intimate. My kids today are unfailingly friendly, but consistently distant. We meet. We work together for an hour, maybe talk about baseball or vacation plans, but then it’s done. I doubt that l cross their minds again until we meet the following week. Many of them certainly regard me as helpful, and perhaps they are grateful for my help, but I don’t figure in their emotional lives, lives they rarely breathe a word about. It’s true that interacting with kids in a classroom setting every day facilitates a connection that meeting only once or twice a week in an office does not. But when I occasionally work in my mentoring practice with public school kids I sometimes get wind again of that once familiar openness. The private school kids, on the other hand, are often inscrutable. Who are they, I wonder, so personable, yet so aloof? What have so many public school kids experienced that frequently leads them to the openness so many private schools kids do not express? I’m not implying that the open way of relating is better than the reserved, but I see an opportunity lost, a chance with my private school kids to inhabit a more human place. The most obvious explanation for the public-private difference is that it’s a matter of socioeconomics. My private school students come from predominantly affluent families, while my former public school kids were generally working and middle class. My private school kids are privileged materially, but often also psychologically. Their days are comfortably scheduled. Their parents are usually accessible and understanding. The outwardly settled quality of their lives seems to allow them to somehow glide along without the turmoil that characterizes the stereotypical adolescence. The only turmoil I see comes from the stress of academic pressure and overscheduling. They are quick to indicate their stress. I can hear it in their voices and see it in their body language. But they always seem to present it as a surface phenomenon. I don’t usually detect their deeper emotions. Spending a lot of time in private schools, I wonder to what extent it is the school environment that inhibits openness. A revealing sociological study could be done on this question with results that might be counterintuitive. When you look at the milieu of non-parochial private schools in San Francisco, you see it is generally relaxed and liberal-minded. There is an ethic of openness and tolerance. Many schools pride themselves on providing multiple academic and personal supports for students. There is often a health component to the curriculum, typically taught in a small advisory group, where students can talk about such issues as sexuality, mental illness, drugs, and family life. But my sense is that in these forums most students do not talk about themselves. They may benefit from the discussions, but they also treat the groups like another class. Likewise when an academic class offers an opportunity to share personally, students may not take it. I worked with one of my students on his papers in an English course called Construction of Self that explored how race and gender figure in shaping our identities. It was heady stuff for 17 year olds. According to my student, discussions were lively, but when I asked how much students talked about their personal experiences wrestling with race and gender, he said almost never. They can read Gloria Steinem and Cornel West like the proto-college students they were treated as by their teachers and discuss the sexual orientation continuum, but they can’t say I’m in pain or I’m proud. My public school kids on the other hand often related what I did as an English or psychology teacher to their own experience. I remember in my first year working in San Francisco I had to teach a group of urban alienated students of color Thornton Wilder’s Our Town about a staid New Hampshire hamlet caught in its ongoing uneventful mundanities. I felt sure I would fail and in the beginning the plodding class seemed an absurd mismatch of reader and subject matter. But when we got to the last act that depicts dead characters sitting in an invisible graveyard reflecting back on their lives, one girl Asha opened up and the class came alive. She was a troubled brooding girl grieving the loss of her cousin who had been shot in the basement of his house. She took the opportunity to wrestle with mortality in response to the quiet reflection on death in the play. At times throughout the rest of the year she would write in her journal about her cousin and share it with me. I felt close to her. Student-teacher closeness seems rare in private schools despite practices that would seem to promote it. In many private schools the faculty have students call them by their first names, an approach with roots in 1970s efforts to break down hierarchy and support a more fluid familiarity between students and teachers. Although this relational loosening might appear to facilitate greater student-teacher connection, I wonder if it doesn’t work against it. The old model might be more formal, but it also cast teachers in a subtlety more paternal role that allowed students to look up to them as nurturers. When adults lose their role as surrogate parent figures, students correspondingly lose something of their identity as children. I see a lot of adultified children. I’m struck by how mature my private school kids can be. Many speak with evenhandedness, don’t seem reactive against their parents, remain upbeat after getting benched in the basketball game, and go about the college search process in a reflective, methodical way. I wonder if they are overly identified with their own maturity, a maturity that seems based on a need to have it together. When I walk past the closed door of a school’s mental health counselor, I know a student is inside talking about her pain (and it usually is a she). In fact, a lot of kids I see have therapists. I have occassionally asked them what the experience is like. It seems highly compartmentalized, an island of personal talk time that does not translate into their daily lives. I get the sense that at times it is almost like one of my mentoring sessions, a kind of one on one seminar you could do for a course credit. I once ran into a student of mine with his parents at an outpatient psychiatric clinic where I myself was being treated for depression. I felt for him. He was in his senior year and had just been accepted to Duke. I wondered if the imminent transition to the elite college world far from California was spurring unmanageable anxieties. The next time we met, I thought, I would reassure him, acknowledge my mental health issues and express some understanding for his. But when we sat down in my office several days later I could tell he didn’t want to talk about the encounter. I could feel an aloneness in the room. My public school kids wouldn’t necessarily talk to me about any psychotherapy experiences. Many of those kids were withdrawn, remote, hyperactive or seething, but many of them sought me out to share all kinds of personal problems: a troubled romantic relationship, conflict with parents, a fight with a friend, the unfair teacher, bullying, pregnancy, addiction, depression, lack of money, or just a horrible time at prom. Work in a public school happened at an ongoing high pitch of excitement where almost every day had the slightly histrionic air of a Glee episode. At public schools adolescent feeling is in the open air. It is most apparent in displays of physical affection. Girls hold hands walking down the hallway the way they did back in elementary school. Boys give smooth-palmed soul shakes. A guy might lean with his back to a locker, his girl against his shoulder. In the private schools I rarely see any student touching another. You’d never know there was such a thing as sexuality. I know it’s all going on under the surface. I know maturity is about keeping relational matters differentiated from public daily life. That is what adults do. But these are not adults. This is high school. Though it couldn’t possibly be accurate, what so many of my current students present is an air of self-sufficiency, in contrast to my former students who seemed to hunger for connection. Those former students who lived lives often filled with visible troubles were familiar with vulnerability and they were sometimes comfortable showing it. Even the macho young men in loose jeans who wore sunglasses indoors and wouldn’t cop to being studious were in subtle ways quite vulnerable under the surface and in their own blustery fashion sought my attention if only through a bumping of fists. It was like they needed an uncle. Despite the vulnerability their stress must create, my private school kids seem poised and secure, like the Pacific Heights homes they sleep in each night. But the vulnerability of the human heart is not mitigated by the fact that you live in Pacific Heights. I know they have the same turbulent insides as any other kids. Aren’t their bedroom diaries filled with the same effusions as those of the kids who open their lives to me? I wish I could know. But unless I return to the public classroom I will only be left to imagine the inner turnings of their souls.